Lots of people say that if you follow a “balanced diet”, you’ll get enough vitamins and minerals. I personally would love to believe it … but it’s just not true. Many people are eating way too much processed food that is devoid of nutrition. There’s a lot of research that shows many people don’t get enough vitamins and minerals. The quality of the multivitamins studied has not been consistent. 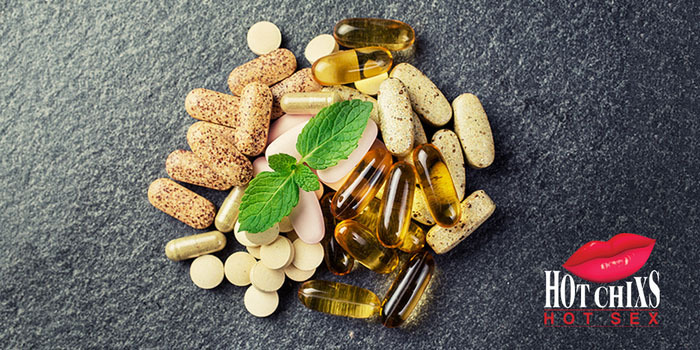 Some studies consider any supplements with at least three vitamins to be a “multivitamin”. Most of the time, the multivitamins studied are ones that are very popular and are available everywhere. Multivitamins are not a way to optimal health. There is limited evidence that they improve health for most people. However, if you are on medications you may be deficient in some vitamins and minerals. Oral contraceptives deplete magnesium and B vitamins for example. Stress, lack of sleep, and poor diet lead to nutritional deficiencies. So there are some benefits. Since they contain low doses of many different nutrients, they’re also safe (as long as you have a quality product). Of course, taking a multivitamin is not a way to improve a poor diet. I always recommend eating a balanced diet of whole foods. There is plenty of evidence that eating a diet of whole, unprocessed food prevents many diseases. So try out my superfood salad – It’s like a multivitamin with benefits. http://hotchixshotsex.com/wp-content/uploads/2018/09/waste-of-money-img.jpg 350 700 Irene Hogan http://hotchixshotsex.com/wp-content/uploads/2015/10/IreneHogan_HotCHIXS_transparent-300x232.png Irene Hogan2018-09-28 17:00:572018-11-28 23:15:16Multivitamins: Are They Really a Waste of Money?